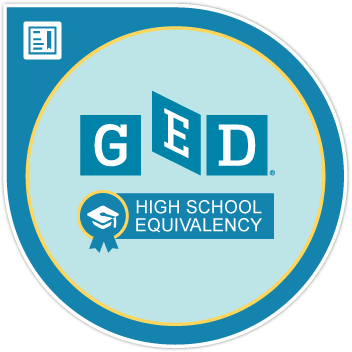 Earners of this credential have passed the GED® test demonstrating the critical-thinking and problem-solving skills that colleges and employers look for in successful candidates. Some graduates may have earned the College Ready or College Ready + Credit distinction in one or all test subjects, indicating readiness for success in a career or college-level program in that subject. Skills and knowledge aligned with the College and Career Readiness Standards for Adult Education recently by MPR Associates, Inc. under contract from the U.S. Department of Education.